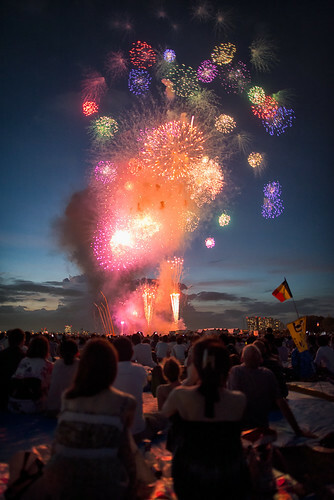 Summer is the traditional hanabi (the japanese word for fireworks) season in Japan. 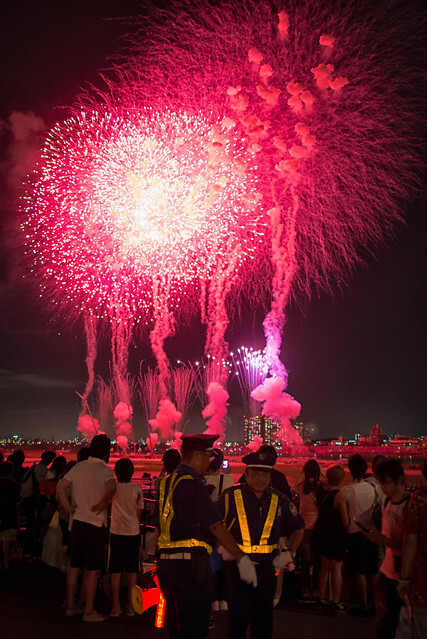 Fireworks became a summer entertainment ritual in Japan since the 18th century, when the Shogun Yoshimune decided to organize the first Sumida River Fireworks festival in 1733, in order to repel the evil spirits that brought famine and epidemics the year before. Hanabi festivals are still an inalienable element of the summer in Japan nowadays, with around 7,000 fireworks across the country! 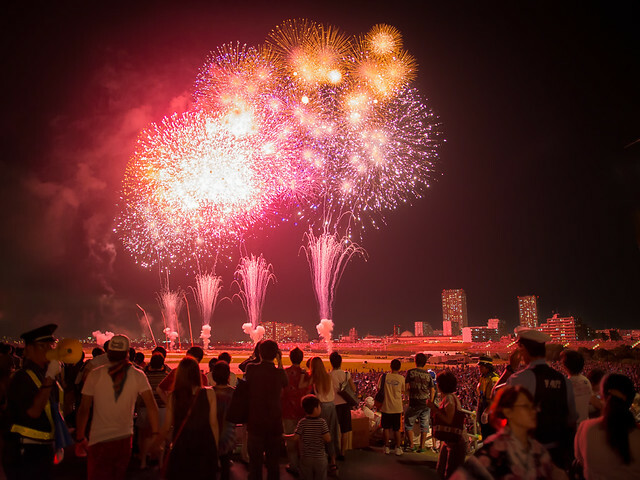 The Sumidagawa Hanabi Taikai (Sumida River fireworks festival, last Saturday of July every year) is still one of the biggest, with 1 million people gathering on the banks of the Sumida river every year. Needless to say, everybody is squeezed grains of rice in a sushi and best viewing spots are invaded well in advance… Way too crowded for my personal taste! 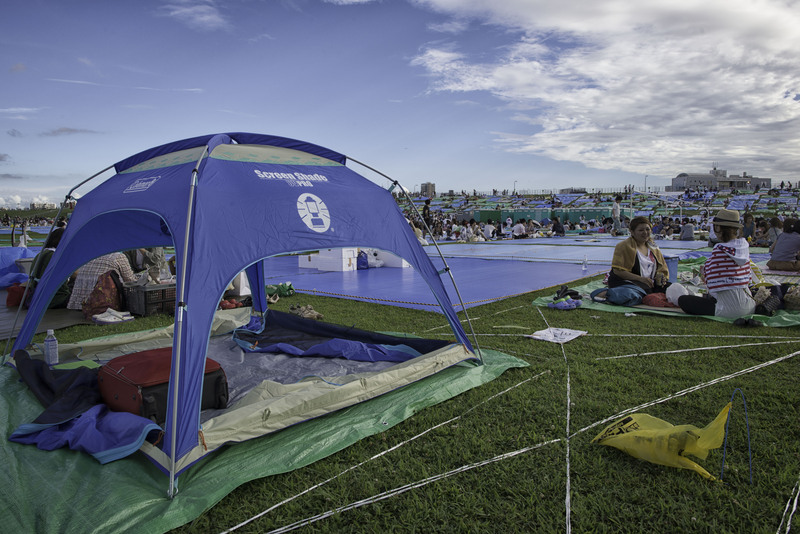 I personally prefer by far the Edogawa Hanabi. 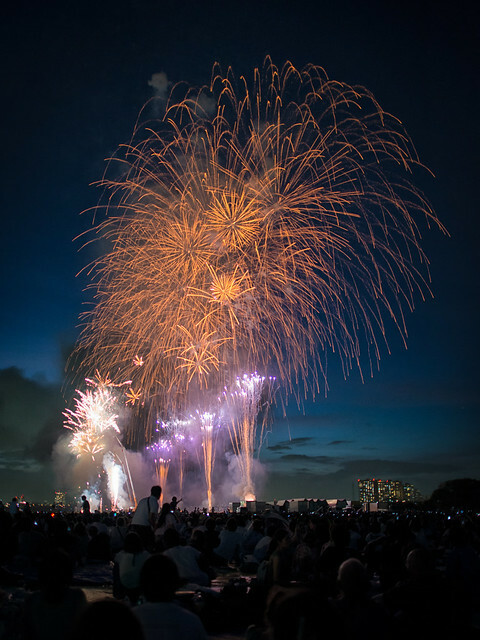 Still one of the biggest Hanabi in the Tokyo area, but outside of the city, in a much more open space, so even though it also attracts thousands of viewers it does not feel as over-crowded. to guard your territory, you can just walk away and come back on the following day, your spot will still be there waiting for you. Now just relax, sit back, and enjoy the show! DIY: Create your own softbox for close to nothing! How to make the difference between a shrine and a temple in Japan? Copyright © 2018 — Damien D'Angelo. All Rights Reserved. You need to ask me for permission before using any of the image available on this website.